with large area for advertising your business, and custom full color printing on both sides. All banner pens can be door to door delivered. 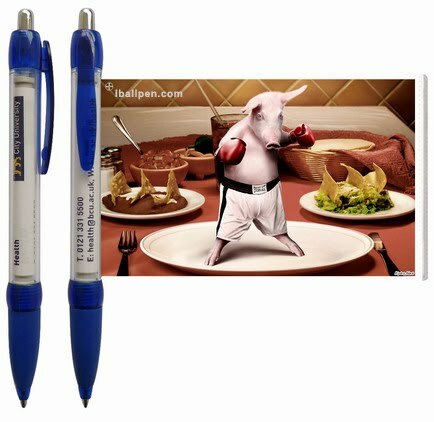 DSP-B001 is the most popular style among all banner pens, with wonderful Curved Body Shapes and the rubber grip. It’s large banner (180mm×68mm) allows you put in plenty of massages and images on both sides. What's more, it is fun! You can play it by pulling the banner out of the pen, retract it back, to relief your high pressure during office working. Step 2 - According to your design, we will make artwork including the banner logo, the color of the pen barrel, clip or nose, sometimes several different options for your checking until you approve it. Step 3 - We will do production after you approve the artwork. For larger order, a pre production sample will be made for your checking again. Step 4 - All banner pens will be wrapped individually, and packed 50 pcs per box. Step 5 - We will send the goods to your office by door to door forwarder.